Ann Clary Gordon is a partner of the Firm, chairs the Firm's real estate practice group, and is a member of the Firm's business law department. She concentrates in all aspects of real estate law, with emphasis on commercial development, financing, and leasing. 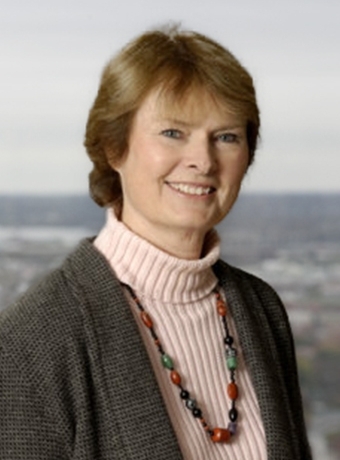 Ms. Gordon has been with the Firm since 1976. Ms. Gordon’s commercial real estate practice emphasizes the representation of real estate developers (including several of the region’s major developers) in acquisitions, development, financing, construction, leasing, and sales. She has represented developers in a wide variety of transactions including innumerable build to suit lease negotiations with national tenants and major loan transactions including securitized financings with a variety of lenders and joint venture institutional, pension, and high income individual equity investors. Ms. Gordon has also served as local counsel to national real estate companies and lenders in connection with various multi state transactions and has represented owners wishing to subject their properties to conservation easements. Ms. Gordon, together with the Firm’s tax partner, recently handled the negotiation and closing of the transfers of large portfolios of properties to several national REITs, which transactions aggregated more than $350 million. The transactions involved complex structuring issues as well as resolution of varied property and financing related matters. Nine Shapiro Sher attorneys are listed in The Best Lawyers in America® 2014 rankings. Fifteen Shapiro Sher attorneys named in "Maryland Super Lawyers 2013"
​Maryland Super Lawyers cites 15 Shapiro Sher Guinot & Sandler attorneys in its just-released 2013 list.